Do you want to generate revenue through online learning? This white paper provides a roadmap for how to make the transition and succeed in an increasingly competitive marketplace. 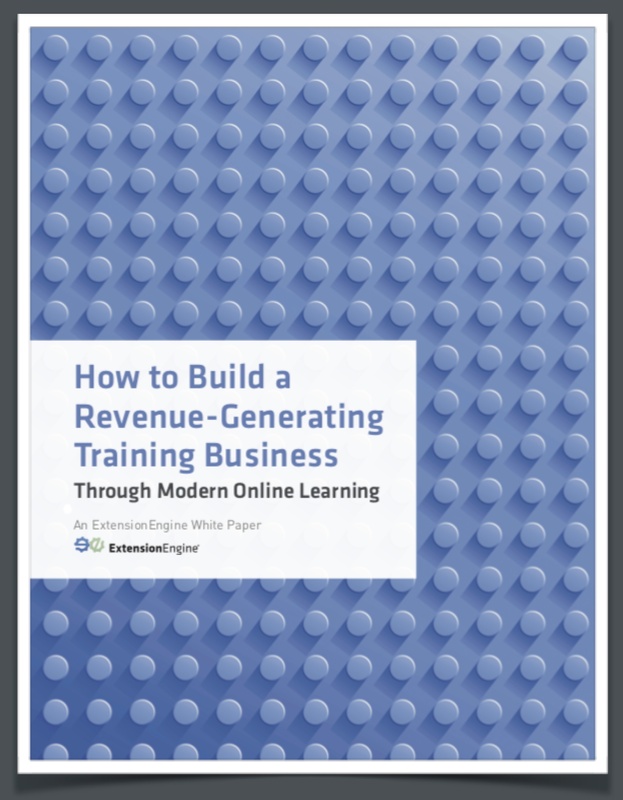 Decision-makers and training professionals in corporate, association, and nonprofit organizations who are considering a conversion of revenue generating in-person training to an online environment. ExtensionEngine is a services firm that helps training companies, corporations, nonprofits, and universities create online learning to generate revenue or impact. We guide clients from vision to success through online learning strategy, learning platform development, course development, instructional design, creative, and marketing. Leveraging the latest advances in learning science and technology, we take a comprehensive approach to develop online learning experiences that engage learners, encourage collaboration, and increase revenues. We work with those who think big, innovate and want distinctive learner-centric online experiences.